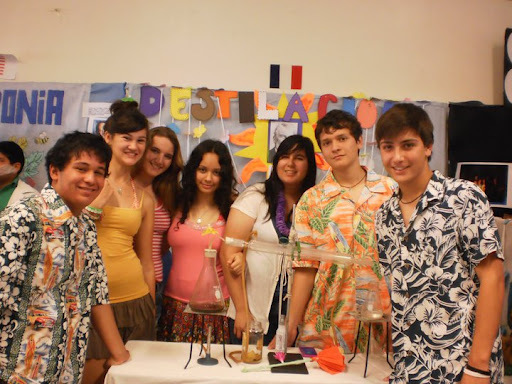 High Schools and Foreign Residents in Mazatlán | ¡VidaMaz! 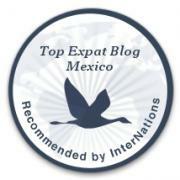 The most popular post on this blog has been the one about choosing schools, entitled “Moving to Mazatlán with Kids.” It would seem that more and more families are moving to Mexico, and Mazatlán in particular, with families, and there is a dearth of English-language information available to them. Next year our son will be entering high school/prepa. We have gone through quite the comprehensive process with him, so that we could choose the most appropriate high school for his needs. I therefore thought it might be worthwhile to share with you some of the information we gained, in hopes it might help you with your planning, and spur further conversation/information sharing. I will write a review of the four high schools that we looked at. Please know there are many more schools than this in town (none currently offer an IB program), including the public (federal) school that is actually the most highly ranked on national ENLACE tests, Vasconcelos. We have several (local) friends whose children go there, and they rave about the education and the caliber of the students at this school. While it is not one of the four I’ll review below, it may well be worth a look. There are also at least two brand-new schools coming to town, though I do not know if either (will) include a high school: Montfort and Rex. We also increasingly meet people who are homeschooling their children, and they seem very happy with their choice. All the schools below have bus and cafeteria service, as well as after-school sports teams and cultural clubs and activities. All of the schools listed conduct study for the TOEFL test, which most kids will need if they graduate high school in Mexico and want to attend university in an English-speaking country. They all have virtual classrooms, but use them to VERY varying extents. Electives are not offered, other than the specialized tracks offered by some schools third (senior) year. This private school is part of the Universidad Anáhuac system (an affiliation that started in 2010). While it is not owned by the Catholic church, it is affiliated with the Legionaires of Christ. There is a mass once a month, weekly “social participation” (kids volunteer in the community), and a heavy emphasis on values and morals. The content taught in the classes is of high caliber. Math classes include calculus and science is also quite advanced. Most of the students come up through Andes from primary school (which is bilingual), so they speak English fairly well. French is taught in high school; another advantage of this program. The high school is fairly new (maybe five years ago they expanded from junior high to include a high school?) and thus still fairly small. It is located next to the University of Durango, behind Sam’s Club. A graduating class currently has at most 20 students. This can be a huge advantage, as the ratio of counselors/advisors to students is an amazing 1:3, and students obviously get focused attention in class. The disadvantage to the small numbers is, of course, on the social side of things: kids at this age end to want friends and lots of them. Andes is comprised of an L-shaped building, with preschool and primary school on the lower floors, junior high on the middle floors, and high school on the top floor. They have a 3D model for a new high school building to be built on the property, though construction dates seem to keep changing. The facility is noisy as there are usually small children playing on the playground. They have an auditorium, a library, and a science lab. Sports facilities include several basketball courts (maybe half size) and a soccer field (again, maybe half size), though last year they built a full-size field that is still dirt. Advantages to Andes include that students are automatically accepted to any Anáhuac university worldwide. Anáhuac offers quite a few national competitions as well as scholarship opportunities for students. Students become Microsoft-certified from junior high. During high school they can be certified in 4-6 applications. They can also participate, as of this writing, in Model United Nations; the only school in Mazatlán and perhaps in Sinaloa that participates in this terrific simulation. In senior year Andes has four areas of specialty from which to choose, though they due to low enrollments they have not yet offered all four. Kids have cubbies in the classroom and wear uniforms. Also a private school, this one is not affiliated with any church. It seems to have the largest number of foreign children amongst its students; we were told during our visit here that there are two or three in each class, while someone else during this same visit told us nearly 1/3 of their school is non-Mexican (Chinese, Indian, French, American). The facilities are brand new; this was their first year in the new facility, in the marina next to Tec, near the new International Center. The new buildings house the junior high and the high school; primary school remains at their old facility in town. Content taught here is also of high caliber. Each class at the prepa level has about 30 kids, and there are two salones or groups at each grade level (60 kids each grade). We were told there is a maximum of 35 students per class, and on our visit it appeared that there were a lot more girls at Anglo than boys. The school includes a science lab (with safety shower), and library (small with few books). Sports facilities include a basketball court with a special floor, tennis courts, and a soccer field with grass (VERY hard to find in Mazatlán). There are plans to build a 3-story gym and we were told they also have plans to build an Olympic-sized swimming pool this next summer (note that plans often are not implemented per schedule here). English is taught at Anglo from primary school, and French language is taught from junior high. Thus, it is the most advanced language-wise, but any kids entering at the high school level who have not taken French will be playing catchup. Kids here have cubbies with no locks. They wear jeans and a uniform shirt that is quite fashionable (newly designed last year). This is the oldest of the schools we looked at, founded by the Franciscans at the request of the city of Mazatlán in 1951. It is huge, feeling almost like a city unto itself. ICO is a tradition in Mazatlán. You will generally find that when locals talk about where they went to school, they absolutely glow with pride when saying they attended ICO. It also hosts primary school, junior high and high school, so always has a lot going on. Class size is large: 50 students per class is common, and there are five salones or classes at each grade level (750 kids total in high school). While there are few if any non-Mexican students here, they do host about five foreign exchange students each semester. ICO has the most extensive facilities of any of the schools listed here, though they are older and more basic. There is a large amphitheater at the school, and the high school has its own auditorium, built last year and very nice. They have three science labs (including safety showers and an eye wash station! ): biology, physics, and chemistry, with extensive equipment and supplies. Definitely the best outfitted of what we saw. They claim to have the biggest library of books in Sinaloa (we saw school libraries that had nearly zero books on the shelves). They have large sports fields and a gymnasium. They even have their own radio station, run by the high school students! There is a large computer lab, but the computers were the most dated of any of the schools listed here. High school students can get Microsoft certified. Religion is taught two hours per week, there is a “vocational” class one hour a week (focused on living out God’s word, whether you enter the ministry or remain a lay person), and mass is held once per month. Teachers here seem to stay here; they appeared to be the most experienced/longest tenured of those at schools we visited. Thus, teachers here tended to be older than at other schools (they stay till retirement). In senior year the students in ICO have four tracks or specializations from which they can choose. High school students here have no cubbies or lockers; each student takes home all their books every night, and carries them around every day. They have uniforms. In our estimation ICO is the most socio-economically diverse of all the schools listed here, the others attracting upper-class or upper-middle-class children and perhaps a few scholarship students. Here you will see variations in skin color. Another plus for us with ICO is that they have rooms at school for trabajo en equipo, a SEP (secretary of education)-mandated “group work” for all secondary and high school kids. We are used to running all over town to shuttle kids to other kids’ homes for group work, and the fact that ICO encourages kids to do group work at school was a huge plus, in our opinion. This high school was originally part of Tec de Monterrey, but when Tec pulled out of Mazatlán last year, Tec Milenio (a subsidiary) took over the high school. I point this out because Tec de Monterrey has an excellent reputation worldwide; Tec Milenio is not quite the same so should not be confused. This campus is also very new, second only to Anglo. Classes average about 30 kids per class, with 110 kids in each grade, 280 kids total at the high school. We were told maximum class size is 36. They have plenty of room to expand and are eventually planning to build a separate high school on the campus (university and high school are currently in the same facility). Tec also has more girls than boys, on an 11:9 ratio we were told. There is one tutor for each of the three grade levels of high school. The positives about Tec, to us, included that they did not have primary school and junior high on site. It is primarily a university, so we felt the high school kids get well-prepared for college during prepa. Many of the teachers teach at the university level as well, and the high school entrance exam is a College Board test, with just a lower cut-off score than for those entering university. The other thing we liked about Tec was, well, how high-tech it is 🙂 High school students don’t carry books; they carry their laptops to school. Homework is online, and submitted to teachers online. Students can be sure what has been assigned and whether it was submitted, and parents can log in and check students’ progress anytime. Communication with teachers is by email, or you can schedule a meeting. Most every classroom had a projector mounted on the ceiling. Facilities include an auditorium, computer labs (very modern), language labs, a science lab (with safety shower and eye wash) and a library (with quite an extensive collection of books). Sports facilities include a gymnasium (brand new), basketball and tennicourts, and a soccer field. Like ICO, Tec has special rooms at school for trabajo en equipo, which we consider a major plus. Tec also has a “VIP Lounge” exclusively for students on the honor roll. There are no uniforms, which is of course a huge plus for most kids. It is a challenge to compare high schools by any objective measure. The national ENLACE tests are an objective measure of ability, and I paste those below. However, I think it is important to point out that most of the private schools, at least the ones described in this post, do not appear to teach to the ENLACE tests. Each of these schools test once every other month on their own content, and once every other month on the SEP-mandated tests. In contrast, public schools, notably Vasconcelos, below, are said to target teaching to the ENLACE tests. Thus, the scores below, I feel, are not necessarily an accurate measure of the caliber of the education in the school. It is also important to remember that, according to OECD 2009 data, Mexico ranks 34th (out of 65 ranked countries) worldwide in math and reading (and science) scores (USA ranked 14th, Canada 3rd). I don’t think any of us chose to bring our children here purely on the basis of the quality of in-classroom education. In summary, after three years of living here, we are loving it. Danny has completely changed his outlook: he is now a citizen of the world, and looks at countries worldwide as places he could study or live, perspectives he could learn, rather than looking no farther than the next city (which was his outlook when we lived in KC). He is bilingual and bicultural, and growing more so every day. People here ask him if he speaks English, which brings me true joy (though occasionally I myself wonder the same thing!). We feel that moving here has GREATLY enhanced the quality of his education, his upbringing, and his life. What he has learned, inside and outside the classroom, is good. Not always on a par with what he learned in his (nationally blue-ribbon-rated) school in the US, but sometimes better, and definitely much broader, including world laws, children’s and women’s rights, values and morals, how to be a good citizen, etc. Anyway, I hope that if you are moving to Mazatlán with school children, or are attempting to choose a high school, that some of the above might serve you.